Is There Mercury In Your Mascara? 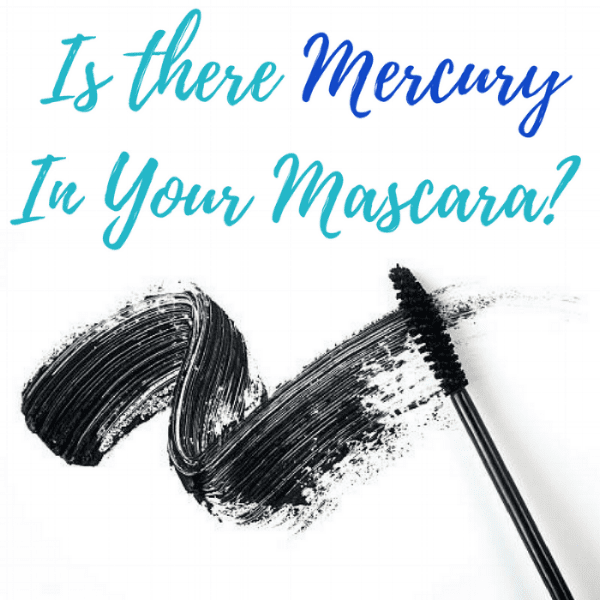 Is there mercury in your mascara? There might be. How scary is that? It’s scary because mercury is extremely bad for our health. Mercury in any form is poisonous, with mercury toxicity most commonly affecting the neurologic, gastrointestinal and renal/kidney systems. Mercury has also been linked to developmental toxicity, respiratory (lung) toxicity, vision loss, numbness and loss of sensation, headaches, fatigue, slurred speech, difficulty walking and skin rashes. Babies exposed to mercury in the womb are the most severely affected. They develop low birth weights, seizure disorders, profound developmental delay, vision loss or total blindness, and hearing loss. Severe neurological damage in the form of widespread nerve damage can also occur when babies are exposed in the womb. Long-term studies have shown that prenatal exposure, even at low concentrations can still be dangerous, leading to decreased motor function, language development, and memory issues. Children that are exposed before birth can have long term problems including motor impairment, visual loss, hearing loss, developmental delay, and seizure disorders. Mercury poisoning can result from mercury inhalation, mercury ingestion, mercury injection, and absorption of mercury through the skin when it is used in cosmetics and skincare products. Most people realize that they can be exposed to mercury from eating certain types of fish, but many people have no idea that they can be exposed through their skincare or makeup products as well. You would like to think that using mercury in makeup would be prohibited, but it’s not. So let’s go over how and why. In 1974 The FDA banned mercury in most cosmetic products. However, it is not a complete ban. The FDA has said that mercury compounds may be used in cosmetic products in small amounts as a preservative in products that are used around the eyes when no equally safe and effective alternative is available. The main problem with that statement? There are many other safe, alternative ingredients that can be used instead of mercury. So why they have allowed this loophole to exist makes no sense. Remember, even small doses of mercury exposure can be dangerous. According to FDA regulations, any cosmetic product that contains more than unavoidable traces of mercury is in violation of the Federal Food, Drug and Cosmetic Act and is subject to legal action. However, products used around the eyes are exempt from this rule. The FDA has set a maximum allowable limit for mercury in cosmetic products of no more than 1 part per million (0.0001 percent). Any amount at or above this limit is subject to strict regulatory action, except for products intended for use around the eyes. This exception applies to preservatives in eye-area products such as eyeliners and mascara. It does not apply to creams and lotions. The “logic” behind this exception is that mercury-containing preservatives are exceptionally effective in preventing Pseudomonas bacterial contamination of cosmetics. However, there are many other safer preservatives that can do the same job without the health risks. The FDA regulations allow mercury to be used as a preservative up to a maximum level of 65 parts per million (0.0065 percent) of mercury. The good thing is that most companies have gone away from using mercury as a preservative, but this is most, not all. Even as recently as 2013, the UN, During the Diplomatic Conference for the Minamata Convention on Mercury excluded mascara and eye makeup from the ban on mercury in cosmetics and soaps. The other terrifying thing is that if a company is using mercury as a preservative in their eye makeup, they don’t have to disclose this ingredient on the label because the FDA does not require ingredients that comprise less than 1% of a cosmetic product to be shown on the label. So even if you want to make a conscious decision to avoid mercury in your mascara or other eye makeup, you will not be able to find this ingredient listed on the label, which makes it extremely difficult for you to find out if it is in the product or not. So how do you keep you and your family safe? I recommend only using mascara and eye makeup from brands that are committed to transparency and safety. 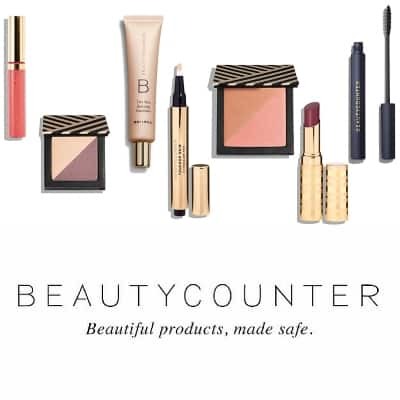 If you have been to my blog before you know that I use and trust Beautycounter makeup and skincare products because they disclose all of their ingredients on their labels, refrain from using toxic ingredients in their products and check all of their makeup three times for heavy metal contamination and other potential contaminants. There are other brands out there that also use safe ingredients, but I have just never found any other brand to perform as well as Beautycounter does. Every other safe mascara I tried in the past left me with really lovely raccoon eyes by the end of the day. It wasn’t pretty. My personal favourite safe mascara is Beautycounter’s Voluming Mascara. I have pretty thin eyelashes so I love the extra volume, but some of my other friends prefer the Lengthening Version. Everyone is different. If I really want some drama, I will actually apply the volumizing first, and then put a coat of the lengthening on top. In fact, I love this mascara so much that I want to give you one for FREE! Yes you read that right. FREE! So, how do you get your own FREE Beautycounter mascara? From now until the end of the month (August 2017) if you spend $125 or more (excluding shipping, memberships and taxes) when you shop through my Beautycounter link I will give you your choice of either Beautycounter’s Voluming or Lengthening Mascara for FREE. Simply email me at erin.carter.md@gmail.com with your order number and to let me know what mascara you would like to receive. That’s it, that’s all. It’s that easy! (Note: Limit one per person). You can shop through my Beautycounter link by clicking here. I hope you found this helpful! Just remember, that what you put on your body is just as important as what goes in your body so make sure you are making smart choices when it comes to your skincare and beauty products. If you have any questions about picking safe products please let me know. I also have a Skin Care Quiz which you can complete and I will get back to you.